For April and May’s Spice Trail challenge, I’ve decided to celebrate the spice mix in all its many and various guises. Every country, continent and cuisine around the world has its own spice mixes and blends. From North African dukkah and ras el hanout to French quatre epices and Jamaican jerk seasoning. The Middle East has given us baharat and za’atar, while from Asia we have garam masala and panch phoron. But what’s your favourite spice mix to cook with? Share your recipes in the April / May Spice challenge for a chance to win a selection of spice blends from Our House of Spice. The Our House of Spice story is an interesting one. Take two sisters, Julia and Nadia. Add to that the daily grind of high-pressurised jobs. Throw into the mix the sisters’ passion for good, wholesome Indian food. Bubble until both sisters decide to take the plunge, leave their jobs and bring to the boil Our House of Spice! When developing their range of spice kits, Julia and Nadia wanted people to enjoy them together, so they were developed to feed four hungry people. Their mixes take the stress out of cooking and provided step-by-step instructions on how to make each dish. 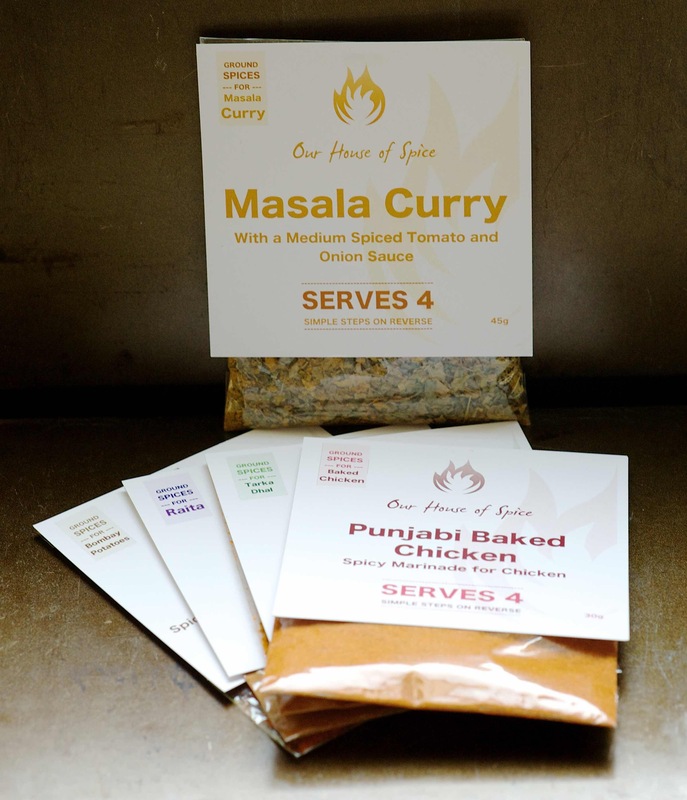 The spice kits are quick and simple to use and, by adding a few things that can be found in the store cupboard and fridge, you can make your very own Indian banquet at home. All their spice kits are completely free from artificial colours, flavours and preservatives .They are expertly blended by the Our House of Spice team for you to enjoy in the comfort of your own home. I’ve tried the tarka dhal and Punjabi baked chicken mixes and they were a huge hit with all my family. In fact I’d go as far as saying that the tarka dhal was the best I’ve ever tasted. And I’ve tasted a fair few in my time! To find out more visit www.ourhouseofspice.com. 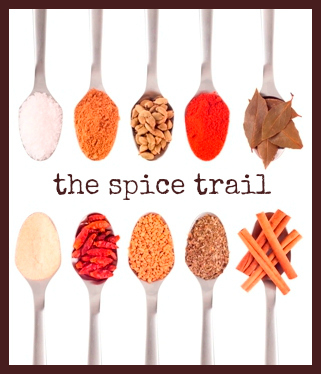 Display the The Spice Trail badge (above and also available here) on your recipe post, and link back to this challenge post. Up to three recipe links accepted per blogger, so long as each one fits this month’s theme and features plenty of spice. Feel free to link up recipe posts from your archive, but please add the information about this challenge to the original post and The Spice Trail badge. Send your recipe URL to me at bangermashchat-at-gmail-dot-com, including your own email address and the title of your recipe or post. The closing date this month is Sunday 31 May 2015. If you tweet your post, please mention #TheSpiceTrail and me @BangerMashChat in your tweet and I’ll retweet each one I see. As entries come in, links to these will be added to the bottom of this page. At the end of the month a guest judge will choose the winning recipe and the winner this month will receive a selection of five spice blends from Our House of Spice. The winner will be announced in a monthly round-up of all the entries. Entries from bloggers all around the world are accepted, but unfortunately the prize can only be shipped to a UK address. 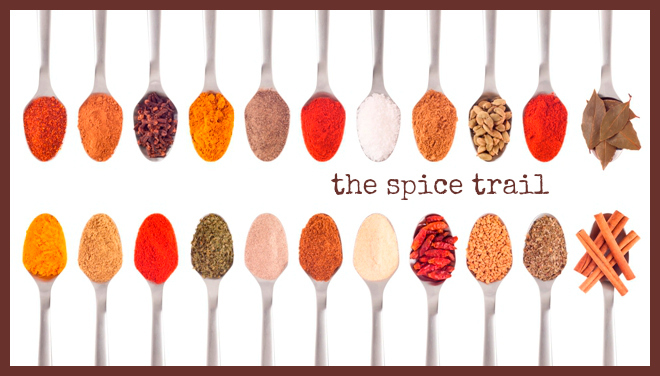 All entries will be added to The Spice Trail Pinterest Board.